29.06.2012 - The 2012 Cowley Summer Blitz was held on Monday 25 June, with an excellent total of 56 players taking part, including a good contingent from Witney. We were also very pleased to be hosting the County Association's prizegiving during a short break after the second round, when Chairman Alan Kennedy (whom we congratulate on winning the 'Best Visiting Player U155' prize in the Blitz) presented the trophies for the teams winning the four divisions of the League and the Frank Wood Shield last season, as well as for the individuals with the best performances in each division. 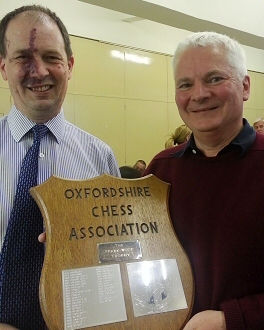 Mike Truran, captain of Witney 1, was presented with the Division One trophy and the Frank Wood Shield. U14' prize, and Robert Kilbride-Newman, who finished as the 'Best very slow starter'. My thanks go to everyone who helped make the event a success, including all who played, and especially: to Rose Hill Methodist Church for allowing us the use of the downstairs Hall for the event; to the Kidlington Congress for the loan of equipment; to Tom Williams, John Taylor, and Dave Robson for particular help with transporting the equipment; to all who helped with setting up beforehand (especially Will Burt) and clearing up afterwards; to Rob Harvey, who kindly manned the wallcharts, posting the results with his customary accuracy and efficiency; and, finally, to the incomparable Tim Dickinson who again acted as Tournament Controller for us. 19.06.2012 - Just a reminder that we won't be open next Monday 25 June, as the Cowley Blitz is taking place (details here if you would like to play). Our last club evening before the summer recess will be Monday 2 July, when we play the final round of the Summer Rapidplay Tournament. Can anyone stop Derek?! - MT. 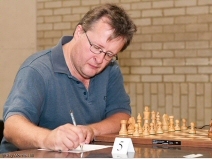 12.06.2012 - Carl Portman has organised a 25 board simul with Nigel Short. The venue is the Best Western Hotel, Banbury on Sunday 16th September. The entry fee is £35.00 which includes your board fee, admission to Nigel's chess lecture, a photograph with him and the opportunity to have your books or DVD's signed. 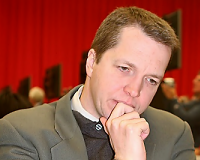 Nigel has a current FIDE rating of 2705 and is 40th in the World rankings (June 2012). Contact Carl on 01295-738001 or email . D. Enright (1½), J. M (0), A. M (0): ½ pt bye. Gareth Stevens (3), Alan Kennedy (2), Alan Gentry (1½), Ed Read (1), Bill Read (1), Seb Watkins (0): ½ point bye. 07.06.2012 - This will be held on Monday 25 June at Cowley Chess Club (at Rose Hill Methodist Church in the Main Hall downstairs). All chessplayers are welcome. Round 1 will start at 7:15pm sharp. Players should register by 7pm at the venue on the night if they haven't registered their entry in advance, to enable pairing cards to be written and the first round draw to be completed promptly. Prizegiving will be at approximately 9:45pm. (It will be possible for young juniors for whom a 9:45pm finish is too late to play in either two rounds [8:05pm finish approx.] or four rounds [8:55pm finish approx.] if this is arranged in advance.) At the Blitz this year we also expect to be able to host the presentation of this season's OCA team trophies and the individual medals for the best performances in each division of the League. 01.06.2012 - Just a reminder that as it's bank holiday weekend the chess club will be shut this coming Monday 4 June. So round 4 of the Summer Rapidplay will be on Monday 11 June - MT. 19.05.2012 - There is an article in the March/April edition of the English Chess Federation's Chess Moves magazine about Cumnor and Witney's victory in the 2011/2012 Junior 4NCL. 12.05.2012 - A nice collection of archive photos from the Witney v Banbury match in 2010 is now available - Mike. 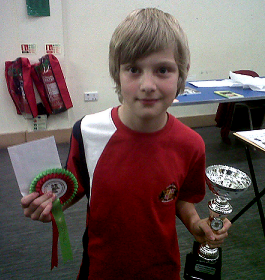 04.05.2012 - Jake played in the U11 Delancey chess challenge Megafinal on Saturday 5 May. The boys U11's had over 20 players, with some very strong competition from MCS and William Fletcher pupils. In the first match Jake won fairly quickly. The second game was more difficult but Jake edged a minor piece advantage before checkmate. In the third game his opponent tried a rather speculative scholars mate and subsequently lost his queen and, soon after, the match. The fourth game was against last year's Supremo from MCS. Two pawns down Jake devised a trap which would either end up winning a knight or, as it turned out, a back-rank checkmate. In the fifth round he was playing the current top board of the Oxfordshire county team. After a long game he won a supposedly drawn rook-knight endgame with only a few minutes left on the clock. At this point he had won the section on progression. His final game was against another strong county player. After winning his rook, Jake kept the material advantage to secure 6 from 6 and the Supremo title. In the U11 girls, Marianne won four out of her 6 matches to qualify for the Gigafinal. She was disappointed to lose in an early round and then lost again to the eventual winner, so had to make sure she won both her last two matches. Although feeling under pressure she kept a calm head, slowed her playing down and made sure she did enough to win those important rounds - a good lesson in nerve control! Meanwhile there were only 2 entrants in the U14 - one girl, one boy, so Isabel was assured of a prize just for turning up. She was in the U14 - U18 section and therefore in with the quite a few of the "big guns", and started off with a game against a player with more than double her own grade. However, she lasted the full hour and came out undaunted. Next up someone only 40 points higher (!) and she got her first win. The next round seemed comparatively easy with an older but perhaps less experienced player. In the fourth she made an error but felt he would have beaten her anyway (possibly true as he was three times her grade!) and then she finished with two rather easier matches, taking her to 4 points like her sister, but with the bonus of the U14 Girls Suprema title, and a good feeling that it was earned by more than just by turning up. 01.05.2012 - Fantastic cup result Mike and an amazing double success worthy of the 1990ers! Please pass my congratulations to all concerned at the club and send me a copy of the write-ups in the Witney Gazette - with photos! It's exactly what the club needs to find sponsorship and/or new players (incl. juniors and schools) for next season. Don't miss up on the chance. The phenomenal strength of both teams would do justice to the top boards in a strong County side let alone a club team. I played in the Norfolk Champs this weekend in a circus ring (Gt. Yarmouth Hippodrome!). I'm off to RAF Cosford for the Combined Services event starting Thursday, back home on Monday then off to Spain for our tour of five Spanish clubs in five nights! If that isn't enough I then have two weeks at the British in North Shields. At least it's making up for the entire lack of any cricket played in Norfolk so far in the 2012 season! - Alec Toll. 30.04.2012 - The following post on the OCA website, which explains the English Chess Federation's new funding arrangements and the implications for Oxfordshire League players, may be of interest. The ECF has lost its £60,000 annual grant from the Department of Culture, Media and Sport. Had a new membership scheme not been approved by the ECF Council, there is no doubt that ECF game fee would have had to rise substantially anyway to cover the funding shortfall. For those playing only local league chess, annual membership will be £13 adults/£9 juniors (£12 adults/£8 juniors if paid online or via ECF member organisations). This will be at least partly defrayed because ECF game fee will no longer be payable on league games, and so OCA league fees payable by clubs should reduce significantly. We anticipate that it will be down to individual clubs to decide how they deal with this saving. The OCA Committee are currently liaising with other leagues and organisations to establish the best way to operate under the new regime, and we will be in touch shortly with our proposals. In the meantime, please feel free to get in touch if you have any questions at this stage. 28.04.2012 - Here is the menu for the chess club's annual dinner scheduled for Friday 18 May (7.30 for 8.00). It looks pretty yummy to me! - and good value as well at £14.95 for two courses or £17.95 for three courses including coffee and mints to finish. Spouses, partners and children are all welcome as always; hopefully you can all make it and make it another successful occasion. If you are intending to come, please send me your menu choices as soon as you can so that I can forward them on to Hackett's - MT. 26.04.2012 - Here's an easy to use game input facility for creating a pgn of your games for inclusion on this website. This free chess tool will allow you to easily enter a series of moves, and then output the game in PGN format (Portable Game Notation). A useful video tutorial is also available here - Runtime: 9:21 mins - MT. It seems a bit wrong that the clubs with games in hand know what result they need! I have loads more chess coming up - Combined Services at RAF Cosford next week, Norfolk Congress in the Hippodrome Circus! British Champs up north, a chess tour of Spain (playing 5 local clubs) and the NATO Champs in Brest, France. By then the league will have restarted. Our new venue - the Kings Head, Coltishall (in my village!) has proved to be an excellent move for the club. I have regained my confidence when playing and work daily on my game using Fritz. I recommend retirement! Any sign of Arthur Mushens? 27.03.2012 - A fine win for a young team, four of whom were Juniors, which leaves us mid-table with one match to play. 07.03.2012 - An outstanding performance from all our players this weekend, and a thoroughly deserved victory at the top of division 2 ahead of the very strong Yateley Manor A team. 05.03.2012 - Just a reminder if I may that Peter Wells (pictured right) will be giving the second lecture in his annual programme Ducklington Village Hall on Monday 5 March. His subject will be "Why do we blunder?" - a question I imagine we have all asked ourselves on various occasions! Those who have not signed up yet are welcome to attend. Ticket prices £7.00 (juniors £5.00) if received by 28 February, £8.00 (juniors £6.00) from 1 March/on the night. Please contact me by email or on 01993 708645 if you would like to come - MT. 28.02.2012 - Three Witney juniors, Marianne, Jake and Jenni all qualified for the U11 Oxfordshire Chess team on Saturday 25 February. Marianne and Jake mirrored each other's progress perfectly with the same sequence of wins, draws and losses, and similar performances - for example in the last round both had bad starts which both turned to victory. They ended on 4½/6 each and just lost to the 3 joint winners on 5/6 (Daniel Varney, David Phillips and Chloe d'Souza-Eva). Jenni also had a great day's chess. Although we were mostly lucky enough to avoid "home derbies", Jenni did have to play Jake in round 2 but fought long and hard, eventually losing on time. She then went back to winning form and ended on 4/6. The event was well attended, giving Jake's dad David a taste of the administrative burden that goes with organising these things! 27.02.2012 - Witney Chess Club juniors were well represented at the recent junior ECF tournament in Swindon, taking part in a number of different sections. Tom was in the beginners' event and learnt a great deal from the experience of his first proper tournament. 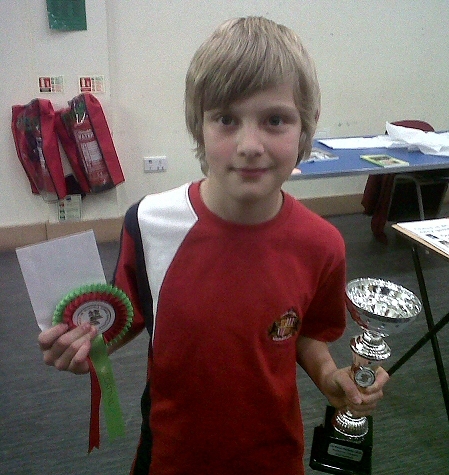 His three wins included the boy who came second's only loss, and the top boy and girl in Wiltshire. He drew another in a stalemate he aims never to repeat, and lost twice, ending up 10th from a field of 35. Onwards and upwards! Jakob was in the main U12 competition - a section with 90 entrants and lots of tough competition. The first day ended with no points but he started the second with a win, and then wisely declined a draw in a later and lengthy match to drive home a second victory. Many of the opponents outstripped his grade significantly, so even where points weren't won, experience was. Meanwhile Marianne took the safer route and went in for the U12 Minor, which had an upper grade limit of 100 and only about a dozen entrants. She won her first four matches - with the match against the eventual winner the toughest and longest drawn-out of that winning run. She then lost her next game, but was still leading the competition as she went into the final round, only to be denied both victory and second place by fellow Junior 4NCL team-mate from Cumnor, Daniel Varney, who finished second with 4.5 points, having only lost to the ultimate winner. They shared the podium for the photos however, as Marianne was both Best Girl and recipient of a Controller's Prize. Isabel's experience was more like Jake's and she found that in the Minor competition (open to all U18s with a grade of under 140) she was the lowest graded competitor. Her first two matches were both long but ended in defeat, but the day ended well with a win. On day two she was annoyed to lose to an opponent of a similar grade to the one she'd beaten the day before, but then got a Bye and then benefited from some analysis of her previous matches and coaching from Tim Headlong who was assisting in this section. Taking that advice into the last round she managed a further win (thank you Tim!) taking her to 3 points and surprising her with the Best Girl plate for the section. (So now we have nice matching mantelpiece ends!). I attach her final game against Jessica Wen, which Andrew tells me showed "imagination, guts and focus in the way she attacked her opponent’s king’s side". Other teammates from Cumnor/J4NCL were there too - Zoe Varney also had some tough battles in the main U12 category but ended on a well-earned 3 points, and Callaghan McCarty-Snead, the 6 year-old TV star of the Kidlington Congress, won his U8 section with 5/6 points. Many thanks to Andrew Varney who helped the competitors with lots of post-match analysis - and with whom we enjoyed a celebratory pizza afterwards. 24.02.2012 - Jake was the first to finish with a comprehensive win on board 6, finishing with a check mate. 09.02.2012 - Well done to the team again. I think that the Swiss individual format did not favour our team as much as it did some of the others, and it also made decisions about who should be chosen as “reserve” each round very difficult. However, we came out of the second weekend equal on accumulative match points with Yateley Manor A (YM A), having scored 6/10 in this second weekend to their 7/10. Looking toward the third weekend, that keeps us in the running for the top spot overall and, together with YM A, well clear of the pack. After the first two rounds we were in top place with four match points, and with four of our five players having a perfect score. With some very difficult games, the third round on Saturday afternoon unfortunately did not go our way, and likewise on Sunday morning, despite looking good initially. The final round saw us win what I thought were three key games against YM A players. However, while I was celebrating, I had not noticed that due to a last minute rearrangement of the pairings, YM A’s result was not determined by our two wins and a draw but was in the balance down to the very last YM A game against one of the other teams! Fortunately for our chances overall (and for my pride since I was already celebrating the fact), this result was a loss for YM A. Only Zoe Varney, playing just on the Sunday, ended with a blank score sheet. One was a very tough game and in the other it was unfortunate that her favourite opening had been the subject of coaching on the Saturday afternoon! Special mention should go to Joost Hoppe and Daniel Varney, both on 4/5 in what was overall a tough competition. 08.02.12 - Exeter Hall, Kidlington, was again the excellent venue for the annual Kidlington Chess Tournament, which this year increased the prize fund and introduced a fourth section for Under-120 players. The entry was up on the previous year, despite several withdrawals on the night before due to bad weather or dire warnings of bad weather. Although the weather continued to cause travel problems for a significant number of players, who either struggled to get home safely on the Saturday evening and/or were unable to come back on the Sunday (and we commiserate with them), the tournament otherwise ran very smoothly under the watchful eyes of Tim Dickinson, Priscilla Morris, and Lucy Smith, the section controllers. The refreshments provided by Hackett's to Go, and the bookstall provided by Andrew Butterworth of Chess Direct further contributed to the amenities and the usual friendly atmosphere. A notable feature of this year's event was that the age range of the players was even wider than usual, the youngest being just six years old and the most senior fourteen times older. The youth versus age theme was a theme in pre-tournament coverage by the Oxford Mail and BBC Oxford focused on the youngest competitor, Callaghan McCarty-Snead. A reporter equipped with camera also came along from BBC Oxford to cover his Round 2 game against Julian Booker of Wantage. Some of you may have seen the resulting pieces which were broadcast on the local BBC television news. Though age and experience triumphed in that particular encounter, youth was elsewhere to the fore. The top section (U225) was won by 14-year-old William Foo from Reading. The U180 section resulted in a tie for first place between Ti Chen (Athenaeum, though recently an Oxford University player) and Matthew Daggitt (MCS/Blackbirds), who started his degree at Cambridge University this year. Current Oxford University players Erik Thornblad and Alastair Irving respectively won the U145 and U120 sections outright. Full crosstables and a complete list of prizewinners from last weekend can be found via the link below. 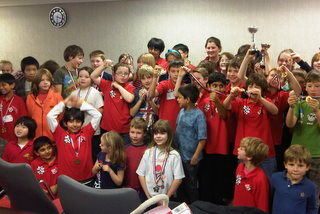 Next year's event, the 36th Annual Kidlington Chess Tournament, will take place on 2-3 February 2013 at the same venue. The organizers look forward to seeing you there! 08.02.12 - The Witney 1st Team seems phenomenally strong these day, almost as powerful as the all conquering team of the early 90's. My game is improving (since my health problems in 2009/10) and my grade is slowly creeping back up into the 160s. I play for Broadland Chess Club and arranged for them to play in the Kings head, Coltishall - which cunningly means I can walk to the venue! We got promoted from Div 2 this season and amazingly we are going well in the cups and the league, without any real superstars. We have a chess tour of Spain coming up in April; our club captain has a villa on the south coast and has arranged 4 matches against local sides. Any news of Arthur Mushens' return to Oxford? 08.02.12 - Here's an example of how Witney players may not be the greatest opening theorists in the world, but can certainly spot a good cheapo when they see one! 06.02.12 - The 4th Worcestershire Open Chess Congress will take place on the weekend of 21-22 July 2012. It will be a 5-round standard play event, with four sections (Open, U160, U135 and U115). Top prize is £200 in the Open and £100 in each of the other sections. 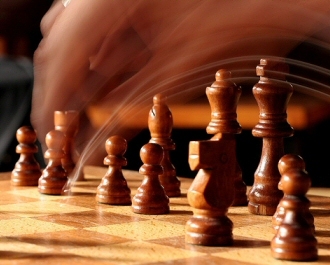 The rate of play will be 35 moves in 90 minutes, followed by a further 15 minutes to conclude the game. 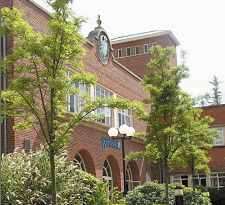 The venue is the same as for the last two years: the Conference Centre at the University of Worcester, St John's Campus, Henwick Grove, Worcester, WR2 6AJ. The University has plenty of on-campus parking, for which there is a small charge (£1 last year). Refreshments - sandwiches, baguettes, panini, drinks and other light refreshments - will be available from the on-campus Costa Coffee outlet. Congress equipment is being supplied by CCF Mindgames Ltd, who will also be running their usual excellent bookstall (new and secondhand). I'd like to thank John and Chris Constable for once again supporting the event. An entry form can be downloaded via the ECF Tournament Calendar at www.englishchess.org.uk/?page_id=11324, where you will also find my contact details. As well as providing what we hope will be an enjoyable congress, the organisers have once again chosen a local charity to support with the profits from the event. This year's designated charity is the St Richard's Hospice in Worcester (Charity no. 515668), which each year provides free care for around 2,200 patients and family members in Worcestershire who are living with cancer and other life-threatening illnesses. Last year, an increased entry and the generosity of the players - many of whom included a donation with their entry - meant that we were able to present the designated charity, Age Concern Sandwell, with a cheque for a magnificent £650. On behalf of the organisers, I'd like once again to thank everyone who took part for making this happen, and I hope that as many people as possible will join us this year in trying to do even better! 06.02.12 - Click here to see a nice game that ends in a sudden mate. 31.01.12 - See a recent game played during a Witney 2 v Cowley 3 match. Sent in by Patrick Moss (Witney 2). 22.01.12 - Before start of play on the second weekend of the 4NCL 2011-12 season the annual awards ceremony was held at Hinckley at which Andrew Farthing, Chief Executive of the ECF, presented trophies to last years winners and also ECF President’s awards for services to chess to Mike Truran. Christmas Card out of the blue! 13.01.12 - Guys, Happy New Year! Just to let you know I received a Christmas card out of the blue this year from Arthur and Janette Mushens, post stamped Plymouth, which is where they moved from Oxford, several years ago. Unfortunately no contact details were included, but in the card, the message read "We're still in Plymouth, but hope to move back to Nazareth House by Easter". Perhaps it's this place? In any case, I'm sure the news will be well received by all who knew them; I tried for ages over the net to find out what had become of them, even finding a deceased Arthur Mushens at one point! Please pass this on to the other Witney and Oxford Chess players who knew them. - Best Wishes, Alec Toll. 12.01.12 - Witney 2 stumbled again, losing 4-2 at City 2. Arriving at 7.10 and finding what looked like a women’s changing room was probably a high point for Alan K and myself who both lost after helping to set up the chess pieces! 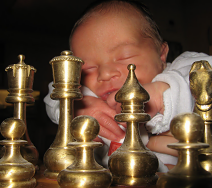 The 35th annual Kidlington Chess Tournament takes place on 4 & 5 February 2012 at Exeter Hall, Oxford Road, Kidlington. With a seasoned team of controllers and ECF arbiters, as well as pleasant and comfortable surroundings, and a bookstall and refreshments available, the tournament provides all the prerequisites of a fine weekend of competitive chess. It is known and enjoyed by players from all around the country with participants of all ages. This year there will be a bigger prize fund, and, for the first time, four tournament sections based on 2011 ECF grades: Under-225, Under-180, Under-145 as before, and (new this year) an Under-120 section. We hope to see a good contingent of Oxfordshire players taking part again. We especially hope that the new Under-120 section will attract a good number of first-time entrants. So please -- apart from entering yourself! -- mention it to your chessplaying friends, and in particular if you know of players graded below 120, whether adult or junior, who have not played at Kidlington before but might be interested in the new Under-120 section, please encourage them to consider entering. Full details will be found on the entry form. If copies of the form have not yet reached your club, they soon will. Alternatively, you can download a form via the link below, or contact me directly. 22.12.11 - Here is Izzie's game against Alvaro Rey of Wantage 2. She was very happy with the eventual checkmate at 9.45pm when she was feeling absolutely exhausted, and struggling to keep her wits about her. Alvaro was just one move off checkmate himself she tells me, so she couldn't put a foot wrong in the last sequence - Catriona Hauer. 16.12.11 - We asked the juniors who play for the Junior 4NCL Cumnor and Witney team to select their favourite game from the recent Junior 4NCL weekend. Here are some of the results; I think you'll agree that in a couple of year's time it's going to be pretty scary for us old-timers when we come up against them. Maybe it's time to retire while the going's good ... - MT. Alan Kennedy has sent in this game from a recent match in Division 3. Hello again from the middle lane. A place where you can be overtaken by hot-hatches, and undertaken by milk floats. This season began with a famous victory while being coached by a 200+. The said coach declaring 'I love this opening' as he/she put me to the sword; and then not coaching anymore as I nibbled my way back to victory. Next game versus an 80+ I got buried in milk bottles as I tried to change lanes. Golfers know about 'yips'. You simply can't make a 2 foot put, just when the rest of your game has finally come together. For Usain Bolt it happens in the blocks of major championships. In chess it happens at half past nine: a move of stunning brilliance to shorten the war by an hour, so you can get on with important things like wrapping christmas presents. Yes it's game over, but sadly game LOST! I decided on the 'rebuild' option. Since then I have discovered triangulation, the Phil and the Lucy, and the zig-zag. Now I can look forward to 9.30 p.m. but will take half an orange as well. See you in the middle lane, where life is much more exciting because anything can happen. 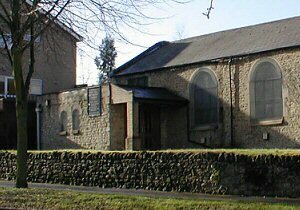 The 2011 Cowley Christmas Blitz will be held on Monday 19 December at Cowley Chess Club (at Rose Hill Methodist Church in the Main Hall downstairs). All chessplayers are welcome. Entry fee: £3, to be paid when you arrive on the night. Proceeds will go to the Lester Millin Memorial Fund. We will also be happy to receive donations for the Fund. Advance registrations by email can be accepted until 12 noon on Monday 19 December. 14.12.11 - In the absence of over half the first team's regular squad for various reasons, a tight match was expected, and so it proved. Happily the second team rode to the rescue for us, with Jon, Alan and Derek scoring 2/3 between them. Many thanks to them for helping out so effectively ... more. - (first published in The Chequered Board in December 2010). Download in PDF Format. 14.12.11 - On a wet stormy evening a weakened team travelled to Wantage and recorded a fine win. Out graded on every board, Jon and Tim on the top boards were gradually out manoeuvred and so we were 2-0 down ... more. 06.12.11 - City 5 turned up with four men so we started with a 2-0 lead. All four games were quite even at the beginning but Isabel and Tim both lost the initiative, Tim lost a rook to nothing and both lost. ... more. 06.12.11 - A bad night for Witney 2, losing 4-2 to Didcot 1, after being given a one point lead very early on, thanks to Roger who continues his run of good form. ... more. 30.11.11 - Another important win for Witney 2 against a MCS/ B 1 team weakened by the call of University. Howard was the first to finish after exchanging into a K+5P v K+4P ending, he duly converted into a win ...more. 28.11.11 - I just wanted to say well done to the whole team for winning the first weekend of the 4NCL against some strong opposition, especially the Yateley Manor teams. It was truly a team effort with some not doing so well in one round but others winning to make up for it. Bagging the first match against Yateley Manor A was a key result, and Joseph’s win on board one against England player Harry Grieve and Daniel’s draw on board two against 127-graded Matthew McLaclan were especially fine games for us. Marianne and Isabel played stalwartly throughout, unbeaten Marianne winning one of the individual performance awards with 4½/5 and Isabel coming close but for a decision going against her in a dispute in the 4th round. Zoe’s and Daniel’s games in the 4th round (second match against Yateley Manor B) were of high quality. Jake won all his games he played in the main team (rather than as a reserve). In the last round this was especially important, since his comeback from a piece down allowed us to win 3-1 despite my flawed decision to play (unwell) Zoe on board 1 rather than use our reserve. Well done to all! With 9/10 points we’ve set up a good platform to build on for the next two weekends and hence the whole tournament. More photos here. 23.11.11 - Witney 3 went into the FWS round 2 with a tough ask ahead of them, 2 points required and out graded on every board, the top four by over 50 points. There was a glimmer of hope with the bottom two boards weaker and fewer points higher than our two juniors [read more]. 22.11.11 - An unexpectedly straightforward win in the Frank Wood Shield against Bicester 1, who were however considerably weakened in comparison with the team that gave us such a run for our money in the league just a few weeks ago. A defaulted board hardly helped their cause [read more here]. 21.11.11 - Here are some photos (courtesy of Sean Terry of Oxford City) from the recent Peter Wells lecture - MT. 17.11.11 - Witney 3’s second away match ended with their second away loss but not out played. The night started with an early finish for Helen who, after losing a piece early on, was finished off efficiently by her opponent ... more. 17.11.11 - Here is my game from last Tuesday. Never before have I reached the possibility of having interlocked pawns right across the board. I had made the decision to keep my king in the centre when the central pawns were locked and on move 33 I had the choice of guaranteeing a draw by h6 [read more and replay the game] - Tim Partridge. 17.11.2011 - The University Chess Club is organising a simul with Richard Palliser (right) next week. There are about half a dozen places left, so I would be very happy if you would offer these to your clubs/teams. The simul takes place in North Quad Lecture Room at St John's College on Tuesday 22nd November, starting at 7.30pm (meet at lodge at 7.15pm). The cost for participating is £7. 15.11.2011 - A fighting victory against a Cowley 2 team who, although weakened by the absence of the formidable Wang sisters, gave a good account of themselves [full report]. 15.11.2011 - Witney 2 beat Wantage 1 comfortably in the end after some tense moments by 4-2, to score their first win of the season. Congratulations everyone! Relief all round. Now we can try to maintain our position [full report]. 14.11.2011 - In the first away fixture of the season Witney 3 suffered their first loss after a promising start. My match finished very early. I had a below par position when my opponent tried to squeeze the little room I already had. Read Roger's complete report here. 14.11.2011 - Marcus Harvey from Bicester Chess Club and one of the UK's foremost juniors, had an excellent win at the recent 4NCL weekend against GM Simon Williams. This was Marcus' first GM scalp, the first I'm sure of many. Congratulations! Tim Headlong and Mike Truran also played for Brown Jack at the 4NCL weekend, scoring four draws out of four. Brown Jack won one match and lost one, both by the narrowest possible margin; given that they are one of the lower rated teams in Division 2 this was a creditable performance. See all results and games from the 4NCL Weekend 1 here. 11.11.2011 - A narrow win against fellow title contenders Oxford University 1. Howard and I continued our recent run of appalling form. Howard blundered a pawn in the early opening for no compensation and never recovered [full report]. 06.11.2011 - Patrick Moss has very kindly submitted an article reminiscing about his playing days in Scotland (probably more years ago that he cares to remember). Download Patrick's article in Word or PDF. We would be delighted to hear from other club members about their own experiences in other leagues, so please let's have your contributions! My own playing days in the Bristol League came to an end when I had my car stolen twice in the space of a month, but that's another story ... MT. A flyer is available for download which gives more information [Word] [PDF]. I very much hope that as many of you as possible will be able to attend - MT. 05.11.2011 - Click here to replay two games from the recent Oxford University Rapidplay held on Saturday 29 October in St Hugh's College - with thanks to Tim Dickinson. 05.11.2011 - Another narrow loss which still brought credit to the team. On the bottom two boards Isabel and Marianne fell foul of the accurate opening theory of the MCS Blackbirds and found themselves struggling although they fought bravely [full report]. 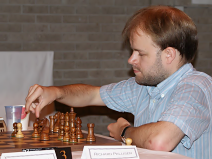 03.11.2011 - Andrew Varney of Cumnor Chess Club has very kindly annotated his game against Mark Hannon from the FWS match between Witney 1 and Cumnor 2 for the website [replay Andrew's game]. 03.11.2011 - Patrick and Ginie proudly announce their latest acquisition - no, not an antique chess set, but new arrival Barnaby, weighing in at an impressive 7lbs. Patrick claims (with some incredulity) that Barnaby dozed off as his father engaged him in a riveting analysis of game 234 from his latest magnum opus 'Me and My Draws'. Wait until he sees some of my games - MT. 02.11.2011 - A hard-fought match against a tough Bicester 1 side which showed why they cleaned up in Division 2 last season. Even without their 190+ player Simon Lazarus in their team they gave us a good run for our money and the match went down to the wire ... more. 01.11.2011 - Joseph was Black against another up and coming junior in the shape of Kirill Lasis (MCS 2), and again found himself significantly outgraded. Nonetheless, he found a very nice 11th move to win a pawn - MT [replay game]. 01.11.2011 - City 3 beat Witney 2 by 3½ to 2½ last night (31st Oct). This was as disappointing as it was unexpected owing to the fact that we outgraded them on every board by about 20 points ... more. 28.10.2011 - Well, Witney 1 snatched victory from the jaws of defeat in the Frank Wood Shield Match vs. Cumnor 2. Needing to win 5-1 it was a challenge without their captain being available and many of the club's better players being cup tied. [continue reading]. 25.10.2011 - Here are two games from last Monday's match between Witney 4 and Cowley 4, which Witney 4 lost narrowly despite a valiant effort. A detailed match report from Tim Partridge is also available here - MT. 21.10.2011 - Witney 3 started their campaign snatching a victory from what looked like defeat at the hands of Oxford University 2 ... more. 18.10.2011 - Witney 1's first league outing of the season resulted in a reasonably comfortable win over Banbury 1 ... more. 18.10.2011 - There is a nice report in the Witney Gazette and Oxford Times about the Witney Rapidplay here - MT. 15.10.2011 - On Monday Witney 2 and Witney 3 again locked horns in the Frank Wood Shield. Unlike last year, Witney 2 had an easier chance of beating Witney 3 as they only required 4 points to last years 4.5 points. Despite Matt and Tim’s match starting early due to work commitments it was the two Juniors on the bottom boards that finished first ... [full report here]. 10.10.2011 - Crosstables for the junior and adult sections, together with the report are here. 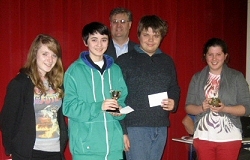 09.10.2011 - Witney Chess Club held its annual rapidplay tournament on 8 October at The King's School, Witney. We decided for the first time to hold an adults section alongside the junior event, and its success surpassed our expectations, with no fewer than 20 people entering. The juniors section was also extremely well supported, with 35 boys and girls taking part. A great (although exhausting) day was had by all, and many thanks are due to The King's School, to Hacketts To Go and to the controllers (Alan Kennedy, Roger Turner, Jon D'Souza-Eva, Tim Partridge and Mike Truran) for the provision of an excellent venue, excellent catering facilities and excellent organisation respectively. For the record, Mark Hannon won the adults section with 5½/6, with Geoff Rasell in second place with 5/6 and Maria Mate third with 4½/6. Liam McKnight won the juniors section with 5½/6, with Zoe Varney and Matyas Hanisch sharing second place with 5/6. 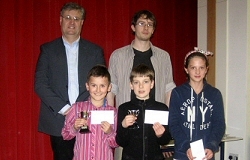 Chloe D'Souza-Eva and Benjamin Headlong won the U11and U9 trophies respectively, Susana Bennett-Anton won the controller's award and Zoe Varney and Matyas Hanisch received the two free places in the forthcoming Richard Palliser simultaneous display which had been kindly donated by the Oxford University Chess Club. 09.10.2011 - Witney's 4th team, making their first appearance in the Oxfordshire League (because I don't believe we've ever managed to rustle up enough players for four teams before) got their season off to an excellent start with a 4-2 win at St Clare's on Tuesday night, a particularly merit-worthy result as the team contained three juniors ... more. 08.10.2011 - Witney Chess Club will be holding their popular annual junior chess tournament at Kings School Witney on Saturday 8 October. In addition, for the first time we will also be running an adult event alongside, which we hope will become a valuable addition to the Oxfordshire chess scene. The two entry forms for the respective tournaments can be found here. Please support the tournament if at all possible - all funds go to the development of chess - MT. 05.10.2011 - A tentative start to the season. Patrick had an early draw and Richard a fairly quick win, playing the St George! ... more. 29.09.2011 - Here's a very interesting report from club member Guy Plowman on the recent Othello British National Championships in Cambridge. It seems that Witney Chess Club has its very own UK national champion (unfortunately not in chess, but I suppose you can't have everything). Many congratulations to him. Apparently Guy is the second strongest player ever to emerge from Wellingborough; what greater accolade could there be? (well, I guess being the strongest would be a greater one, but again I suppose you can't have everything). Here's the link to the British Othello Federation's website for those who are interested - MT. "The Othello National Championships is the highlight of the British calendar and there is always a good number of strong players there. This field included three previous champions (two of them multiple times) including arguably the best British Player ever, Imre Leader http://en.wikipedia.org/wiki/Imre_Leader (a mathematician from Cambridge). There was a nine round Swiss tournament in which I ended up placed second with 7/9. Joel Feinstein (another mathematician from Nottingham) finished on 8/9 and had narrowly beaten me in our head to head during the swiss part of the tournament. My second placement meant that I played him again in the final which I won 46-18. The tournament is also used as one of the qualification routes to play in the World Championships which are at the beginning of November in New York. The team will be myself, Imre Leader and Iain Barrass (another mathematician!) who won the British Grand Prix this year (and was also at the tournament). 29.09.2011 - Following the decision to withdraw a Wantage team this season it is now possible to publish the league fixtures in both diary and grid format. It has been particularly difficult making the fixtures this season and there have been many changes since the early drafts. Captains should ensure that they are working with an up to date set of fixtures. If in doubt confirm the fixture with the opposing captain. Each captain is asked to confirm to me that they are now working with the 27 September issue. I am sorry that it has taken so long. Except for the byes in Division One fixtures before 20 October remain unchanged. From now on any problems should in the first instance be resolved between captains but let me and the league secretary know of any new arrangement. 26.09.2011 - Fewer than five days to go if you would like to take advantage of the discounted entry fee for the Witney tournament on 8 October! Don't forget that we are running both junior and adult sections this year! Many thanks to those who have entered already - MT. 20.09.2011 - I'm delighted to announce that Andrew Farthing, Chief Executive of the English Chess Federation, has kindly agreed to be our guest of honour on Saturday 8 October to present the trophies and certificates and also to present Witney Chess Club's 2011 Website of the Year Award from the English Chess Federation. This year we are running both a junior and an adults tournament - if you haven't entered yet, entry forms can be found above - MT. 18.09.2011 - Isabel and Joseph from Witney Chess Club had the honour of representing the Oxfordshire U125 county team on Saturday 17 September against Berkshire. The format was an interesting one - the Oxfordshire adults played the Berkshire juniors and the Oxfordshire juniors played the Berkshire adults over twelve boards (six adults and six juniors on each side). All the Oxfordshire juniors fought valiantly, but when we left an hour before the end all but Zoe Varney (who was still battling on a pawn down in a double rook endgame) had had to strike their colours (as Staunton would have put it). It looked as if at least one of the Oxfordshire adults had manage to drop the ball against their junior counterparts and that therefore Berkshire were heading for a narrow win overall. However, it was excellent practice at a sensible time limit (90 minutes per player for all moves) for our juniors, who acquitted themselves well despite being heavily outgraded in all cases. Thanks also to Catriona for taking a couple of nice photos - MT. 14.09.2011 - This is being held on Saturday 29 October in St Hugh's College, St Margaret's Road, Oxford, OX2 6LE. Two sections: Open & U170 of 6 Rounds. Games start at 10.00am. Click for more info. and to download an entry form. 14.09.2011 - The latest tournament ladder is here. Just one result on Monday: Mercedes 1-0 Venetia. 06.09.2011 - I am delighted to announce that Mike Truran was one of this year's winners of the ECF President's Award. The award was largely for services to 4NCL where he has been a member of the management board for many years [citation]. 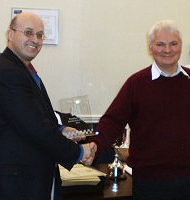 Witney chess club website also won the website of the year award. Mike has been instrumental in helping this get up and running although the award really belongs to Witney's webmaster Steve Connor. Well done to you both - Alan Kennedy. 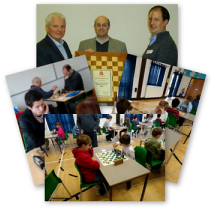 02.09.2011 - A quick reminder that Witney Chess Club starts up again next Monday 5 September. The AGM will be on Monday 12 September - MT. 25.07.2011 - The new grades for our club members are here. This is the new 2011 list, based on results up to the end of May 2011 - MT.